Comprehensive Car Insurance Adelaide South Australia - NFC. Comprehensive Insurance for Used Cars. Comprehensive car insurance Adelaide has available, as the name suggests is the most comprehensive car insurance cover available from car insurance companies in Adelaide, South Australia and across Australia. 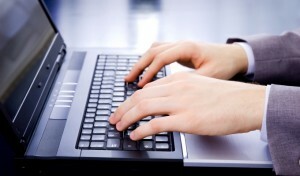 The level of cover or ‘inclusions’ will vary between the different insurance companies, so it is recommended you compare insurance companies by reading the insurance company’s PDS (product disclosure statement) which defines the terms, conditions, inclusions and exclusions that apply to the policy. 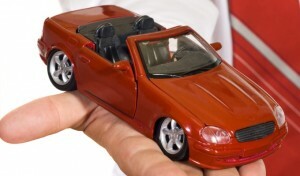 Your insurance broker at National Finance Choice will discuss having comprehensive insurance on your new or used car. You will want to compare the cost of the car insurance premium but also the level of cover you are getting for your money. It is important to also know that there are factors that effect the cost of the premium and although all insurance companies use a similar formulae, they will place a different bias on each factor. This is known in the insurance trade as a risk premium; which is how likely the insurance company sees you making a claim. Your National Finance Choice insurance broker will ask you all the required questions to give you an accurate comprehensive quote. pay you the ‘Agreed value’ or ‘Market value’ of your car. If your car is accidentally damaged or stolen more than a certain distance from your home and the insurance company agrees to pay your claim, the insurer may pay an amount for emergency repairs necessary to enable you to drive your car home or to the nearest place of repair. If your car is accidentally damaged, stolen or burnt more than a certain distance from your home and the insurance company agrees to pay your claim, they may reimburse you an amount for emergency accommodation, travelling expenses or rental car expenses paid by you for you and your passengers to return home or to complete your journey. If your car is involved in an accident, your no claim bonus rating will not be affected if, in the insurance companies opinion, you or any other person using your car with your permission were not to blame for the accident occurring. You will have to supply the insurance company the name and current address of the person who caused the accident, and the registration numbers of any other vehicles involved in the accident. the insurance company Adelaide you choose may replace your car with a new replacement car provided that one is locally available. There could be further conditions such as the car needing to be covered by the policy since first registration as new, or second registration provided it had travelled less than 5,000 kilometres and was less than 6 months old. If your car has been super seeded by a new model, the insurance company under comprehensive insurance may replace your car with the new model if it is locally available. If the insurance company in Adelaide you are insured with agrees to pay your claim after your car is accidentally damaged, stolen or burnt, the comprehensive insurance policy may cover you for an amount of money to cover the loss of personal items belonging to you or a family member. This generally does not cover mobile phones, cash or property used to generate income. If a trailer is accidentally damaged, stolen or burnt while it is attached to your car, insurance companies in Adelaide may pay for the cost of repair or an amount of money. 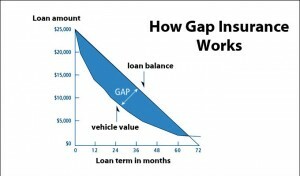 The insurance company may only do this once in a period of cover (12 months) and also will cap the limit. Discuss windscreen cover with a NFC insurance broker. 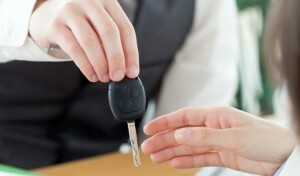 Adelaide insurance companies may reimburse you the cost of hiring a similar car to your car if the car is stolen. There will be limits to the period, and you will have to pay for the fuel and running costs of the hire car. If there is reason to believe that your keys have been stolen, or burnt comprehensive insurance in Adelaide may cover the replacement of the keys and locks. If your car is accidentally damaged, stolen or burnt, the Adelaide insurance company under a comprehensive insurance policy may pay for the cost of having your car towed to a repairer and the cost of removing debris from the accident site, or where your car was burnt. Remember too that this will be different for different insurance companies at different times, so it pays to discuss comprehensive insurance Adelaide has with your car insurance broker at National Finance Choice, who will help you understand the differences between the insurance company products. Insurance brokers at NFC are fully trained to handle all of your comprehensive insurance questions.